Enjoy a fully catered, guided 2-day river descent of the Ardeche gorge, with an overnight bivouac and barbecue under the stars. Includes: Boats and all safety equipment. All meals whilst with us (including evening BBQ). Expert guidance throughout your trip. Transport to and from the river from our secure parking area. Overnight camping at the Gournier Bivouac site. All camping equipment. 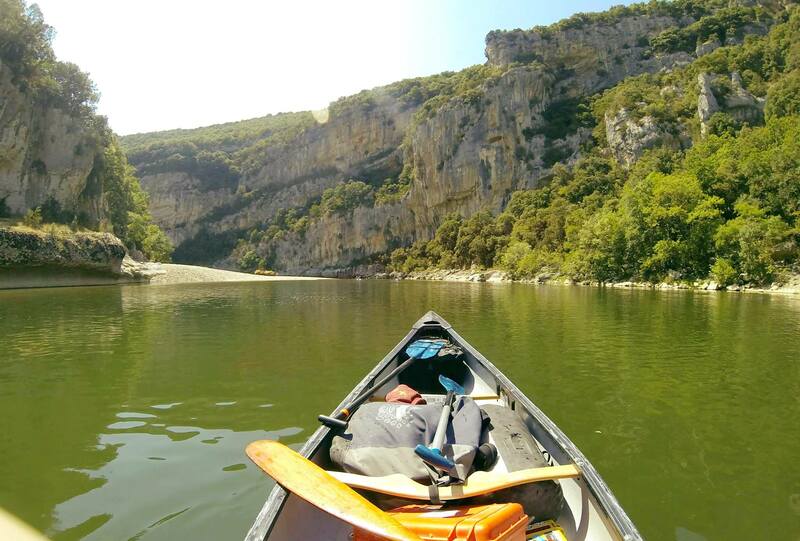 Your two day canoe descent through the Ardeche gorge is where you’ll really begin to appreciate the magnitude and beauty of the Ardeche region. As well as negotiating the many rapids along the way, you will also be able to enjoy swimming and picnics on the river’s edge. We’ll arrive at the bivouac site in the late afternoon, where we’ll prepare our sleeping area and light the BBQ. The site is fully equipped with a shower block and toilets and we will provide tents and inflatable beds for anybody worried about an uncomfortable night! After sleeping out under the stars you’ll rise to the smell of hot chocolate. Once dry sacks are loaded, we’ll set off for the final day of the descent, ready to face even more rapids and stunning scenery. By early evening we’ll arrive at the bottom of the river to make our way, by road, back along the gorge. The ride back is almost as thrilling as the river itself, with new, even more breathtaking views of the surrounding landscape unfolding with each turn of the road. So the countdown is ticking, you’ve booked your Adventure Ardeche trip, but what happens next? After booking, we’ll immediately send you an email confirmation receipt, which you should keep for your records. 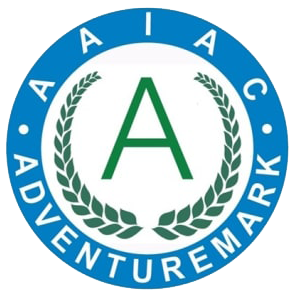 A member of the team will be in touch soon thereafter to arrange the finer details of your adventure, including where to meet, what you need to bring, accommodation, activities, and to answer to any questions you may have. If you have chosen to pay a deposit we will be in touch with you to take the remainder of your balance four weeks before you arrive.